Don Crawford is the director of Pearl Realty’s commercial division. 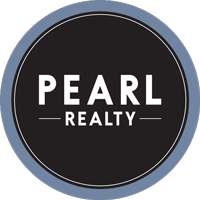 With Don’s depth of experience in construction and finance united with Joel’s proven commercial real estate sales background, Pearl Realty is aptly positioned to manage and sell all commercial properties, including office, retail, industrial, multi-family and land. Pearl Realty may be known for residential real estate sales, but we’ve always had a presence in commercial real estate. Now, with the talented addition of Don, Pearl Realty’s commercial division specializes in the purchase or sale of any income-producing property. This could be a fourplex apartment building next door, a five-story office building or a car wash your brother owns and operates. Don is the best fit in this role because of his diverse professional history. He understands the numbers and what makes an investment sound. He graduated in finance from the University of Idaho and began working in the finance industry managing client investments. Don then transitioned into construction where he operated a design/build construction company. And most recently, he worked for Kootenai Electric overseeing the energy conservation and member service departments. But what may be Don’s most important asset is his integrity. “He is a man of great integrity and I look forward to working with him to offer the most in-depth commercial real estate services in North Idaho and Eastern Washington,” said Joel. Outside of work Don, his wife, Michele, and two sons enjoy all that North Idaho offers. From water skiing on Lake Coeur d’Alene in the summers to hitting the powder at Schweitzer in the winter, the Crawford’s live life to the fullest. And when they need a break, they like to sneak away to Cabo for some fun in the sun.